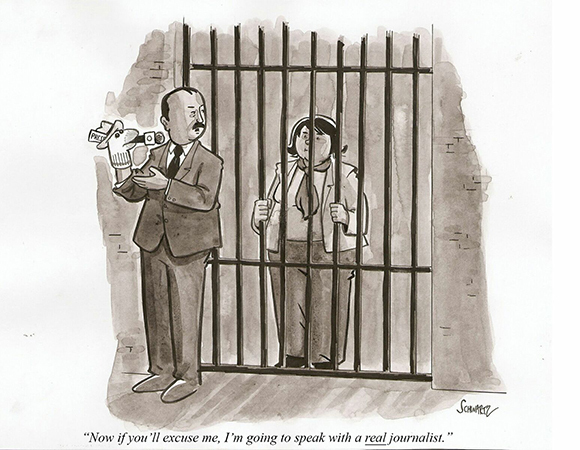 In the hubbub over PEN American Center’s decision to present its PEN/Toni and James C. Goodale Freedom of Expression Courage Award to Charlie Hebdo last night, another honoree’s story has been obscured. 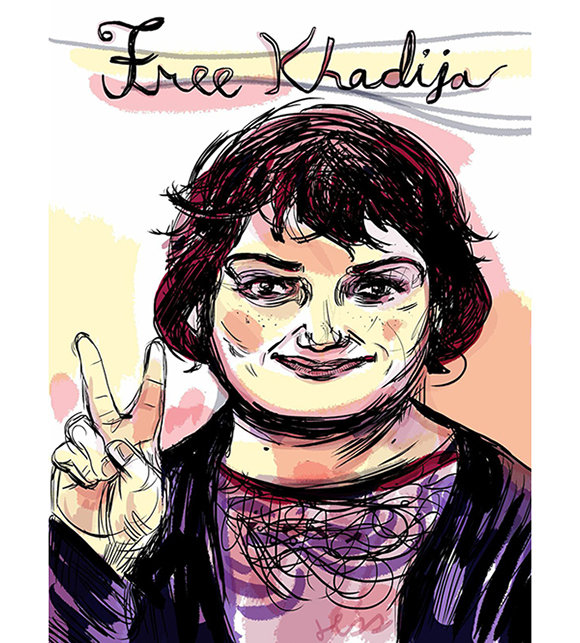 Khadija Ismayilova is an Azerbaijani journalist who has fearlessly exposed widespread corruption at the highest levels of the Azerbaijani government. 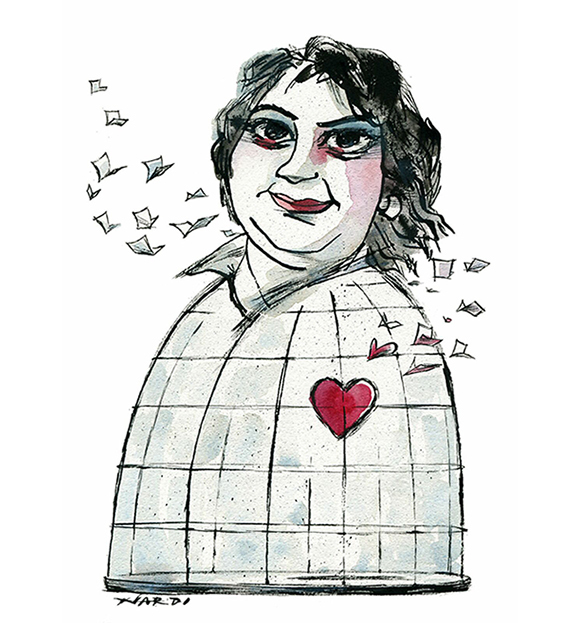 In an attempt to silence Ismayilova, an intruder placed a hidden camera in her bedroom and threatened to make videos of her public if she refused to “behave.” Authorities have subjected her to detention, legal harassment and character assassination. 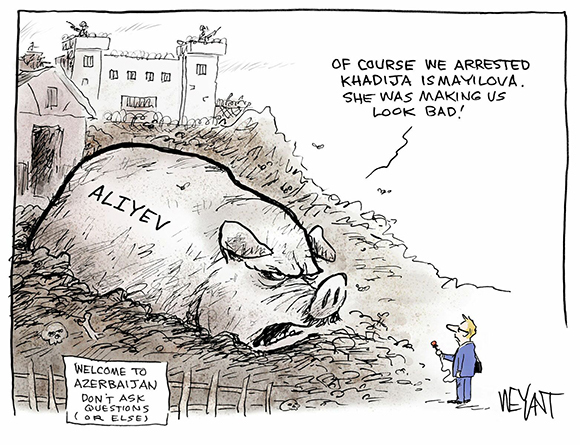 In December, she was arrested on the contrived charge that she had incited a colleague to suicide and she remains in pre-trial detention. 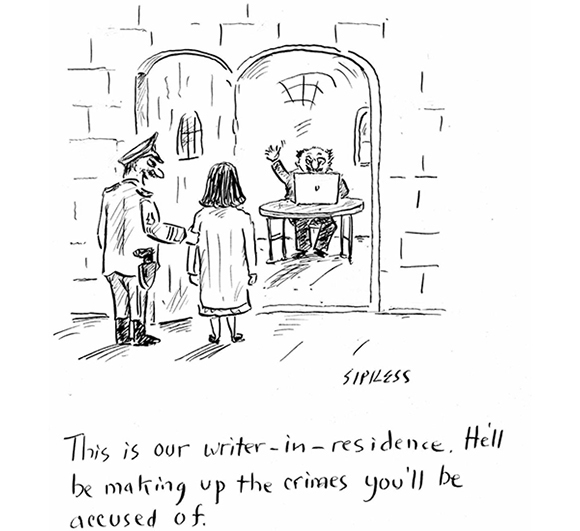 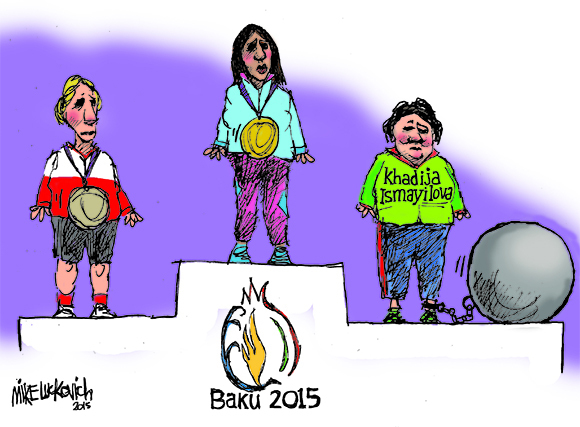 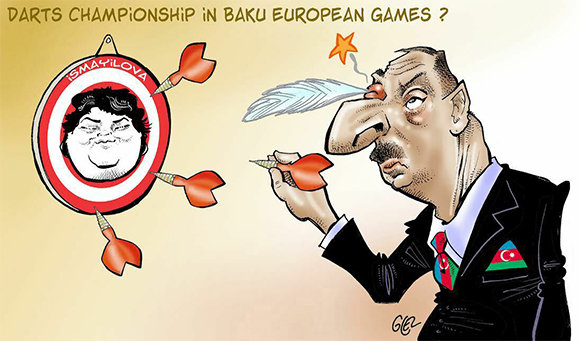 PEN presented Ismayilova with its PEN/Barbara Goldsmith Freedom to Write Award (for a writer imprisoned or persecuted for his or her work), last night, and commissioned the following cartoons speaking to her situation.